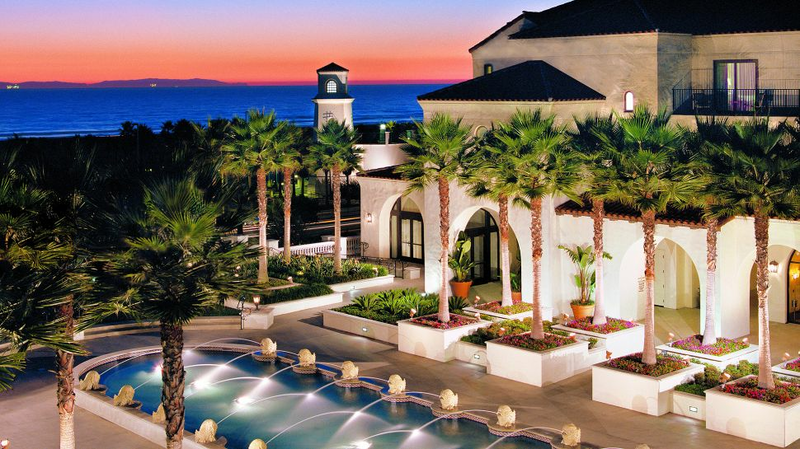 Discover one of the most romantic wedding venues in Orange County at the Hyatt Regency Huntington Beach Resort & Spa. Throughout our enchanting resort you will discover Andalusian architecture that evokes the Mediterranean, bubbling fountains, rich wood furnishings and stunning views of the Pacific Ocean. Whether you envision a simple gathering or an elaborate formal affair, each wedding at our oceanfront resort in CaliforniaÍs Orange County is treated as a one-of-a-kind event. From perfectly manicured lawns to elegant ballrooms with stunning views of the coast, our Orange County wedding venues provide the perfect setting for your special day. For an outdoor ceremony, the California Courtyard, Spa Courtyard and the Lighthouse Courtyard are beautiful sky-lit setting for your vows. A professional wedding planner will assist you through your entire experience _ wedding rehearsal, ceremony and reception. Your Hyatt catering manager will help design a fabulous menu for your dinner and reception.